...Rick Riordan does it again. Rick Riordan is one of my top three favorite authors of all times. And for sure his series about the gods. 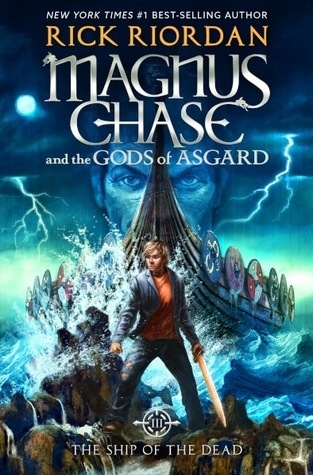 I read his first series about the Greek Gods (Percy Jackson & the gods of Olympus), second series about the Romans (Heroes of Olympus), third series about the Egyptian gods (The Kane Chronicles) and just finished the 3rd book of the last series about the Norse gods (Magnus Chase and the gods of Asgard). I really love his sense of humour in the books and definitely in all the chapter titles. That guy is really a genius. I would even recommend these books to my professor Creative Writing at school. He would love them, I’m sure! Even after 18 (!) books and two cross-overs I’m still surprised about the content and the way Rick Riordan brought those “old” stories back to life in our world. For example: Hermes, god of thieves and commerce has a freaking phone. Poseidon, God of the Sea is walking around in Bermuda’s. But the reason I’m writing this blog is something different. In heroes of Olympus, there was a first mention of a gay relationship between Nico and Will. Back then, Gay was still something people had to get used too, it wasn’t very common. Even I hadn’t met someone back then who is gay until a few month before I read the book. Fast forward 2018, being Gay isn’t that “weird” anymore. THE subject in (social) media nowadays is transgender and that, again, is still a big “no-no” in our culture. A lot of people still can’t wrap their heads around the fact that some people feel like they were born in the wrong body and want to do something about it. 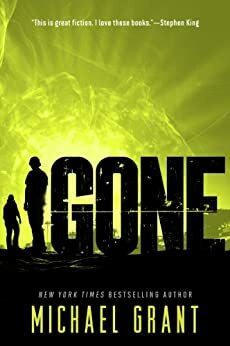 Now, back to the book I just read, Riordan made a big step in teen-literature by adding not only transgender to the Magnus Chase books but making that transgender a gender-fluid character (someone who feels more like one gender one day and one gender another day) with a feisty persona. Alex Fiero is not only a badass but a role model for every single girl, boy, unidentified persona, wrestling teen… out there. She/he teaches us it’s okay to be different to be who you are and to feel comfortable with yourself in the body you (want to) have. Not only is Rick Riordan a great story teller he’s a writer who’s not afraid to put his ideas out there and write what his general audience wants to hear instead of his publisher & agent. I believe that, whoever you are, whenever you read a book by Riordan, you will be changed for the better. PS: sorry for the lack of Blogpost last week. I've been super busy but I will keep trying to get a post up every thursday!